David S. Daly focuses his practice on the defense of professional liability claims and insurance coverage litigation. Mr. Daly has represented attorneys, insurance agents, and other professionals for over 20 years, and is often called upon for pre-suit advice and counsel by professionals who face potential ethical and liability issues. Mr. Daly has also spoken before Louisiana Bar Association committees, concerning proposed changes to the Louisiana law setting forth the time periods within which to sue attorneys and other professionals. Mr. Daly has extensive experience defending professional liability claims in both State and Federal court, and has handled some of the most significant cases brought against attorneys and other professionals in Louisiana. He is a frequent speaker at seminars, where he has lectured on the intricacies of legal malpractice law, and the scope of the insurance coverage provided to professionals and others. 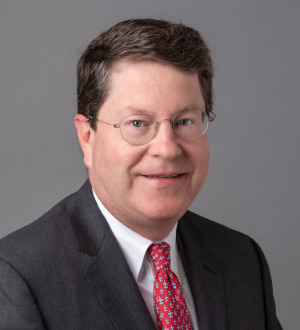 Most recently, he authored a paper for the ABA National Legal Malpractice Conference, entitled 'Practical and Ethical Considerations for Defense Counsel Where the Insurer Has Issued a Reservation of Rights', and served as the Panel Moderator on the topic. A native of New Orleans, Mr. Daly graduated in 1991 from the Paul M. Hebert Law Center at Louisiana State University. He is admitted to practice before the U.S. Supreme Court, the United States Court of Appeals for the Fifth Circuit, and all Louisiana State and Federal courts.